In any form of media, including live streaming, influencers exist in a class of their own. They compel attention, sway opinions, and keep people excited and engaged. The content they create earns them money, free products, and a strong relationship with their followers and with valuable brands. Influencers receive invitations to appear in all kinds of events, including live shows and professional conferences. To be rewarded for your passionate interest in gaming, cooking, digital art, fitness, outdoor adventure, or any other topic is an opportunity that’s too exciting to overlook. But it’s not enough to just have an online presence. When it comes to streaming, what separates an influencer from an average streamer? How do you set yourself apart from so many other people who use Twitch, YouTube Gaming, and similar platforms? To become an influencer, you first need to recognize the potential of the platforms you’re working with and the value you offer personally as a streamer. Online videos are dominating internet traffic, and live streaming is exploding in popularity. By 2021, an estimated 82 percent of online consumer traffic will involve videos, and between 2016 and 2021, live streaming traffic is expected to increase by 15 times. The streaming market is expected to grow worldwide from roughly $30 billion in 2016 to $70 billion in 2021. Streaming platforms are gaining the kind of viewership associated with mainstream TV channels. As of January 2018, Twitch had an average of 962,000 viewers tuning in at any given point to watch live streams. Businesses perceive the tremendous potential in live streaming and seek ways to incorporate it into their marketing strategies. If you understand what makes you valuable as a streamer, you can become an influencer, reaching people in powerful ways and partnering with reputable brands. Influencers know how to captivate their audience and give them a memorable and rewarding experience. To develop a better idea of how you can benefit your audience, consider the following questions. What are you uniquely offering? Think about the topics you cover, the commentary you provide, and any creative techniques you rely on, including the use of aerial drones and stunning graphics. Consider your strengths, including any expert-level knowledge and appealing personal qualities you possess, such as wit, compassion, intellectual sharpness, creativity, or an ability to explain things in a straightforward way. To avoid burnout and produce meaningful content, money and exposure can’t be your only goals. Influencers are passionate about their streams and the topics they focus on. They’re clear about the purpose of their content and who they want to reach. They strive to be a part of a community and to meet people who share their interests and inspire them. In this way, they create value for their fans and sponsors. Along with providing unique and valuable content, you need these three core qualities to become an influencer. Influencers become an authority by earning people’s trust. They demonstrate an in-depth understanding of what they cover. They make suggestions that are based on careful thought and research. They share what they sincerely believe to be true and behave with transparency. They follow through on their commitments and keep their promises to viewers and sponsors. In the following areas, consistency is critical. Maintain high standards for your streams. Avoid producing work that’s dull, uneven, or lazy. Ensure that you stick to a streaming schedule and that your viewers know about it. 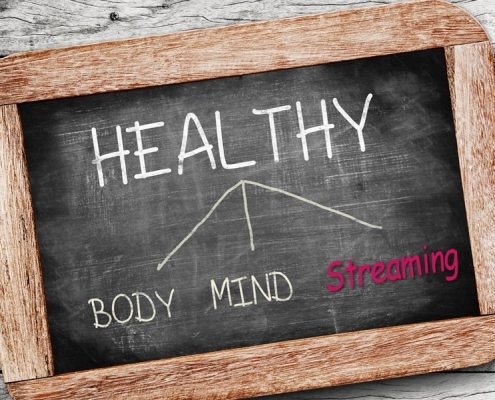 You don’t need to stream every day; you just need to provide content reliably. 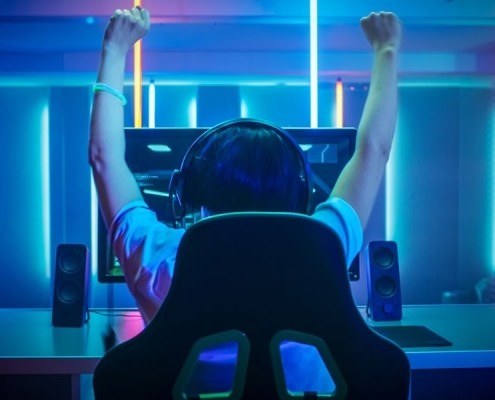 Between streaming sessions, remain active online, engaging with other streamers and with viewers across different channels and social media accounts. 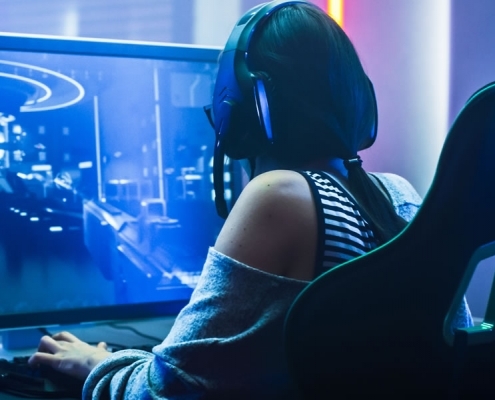 Although you don’t have to stick rigidly to certain topics or games, viewers should generally know what to expect from you in content and style. Influencers focus on what they truly care about and adopt a style that’s natural to their personality. They don’t force jokes or use slang they find uncomfortable. They interact with people conversationally and without aggressively pushing products and services. Along with developing the core qualities of an influencer, you need to take steps to strengthen your online presence. What can you do to gain influence and exert a positive impact on people? Your online reputation stems from the behavior you display on your channel and every other online platform you belong to. Careless remarks on Facebook, insulting tweets, or crude comments left on YouTube videos combine to create a negative image. Poor spelling and grammar also have the potential to repel followers and potential sponsors. Listen to feedback from trusted relatives, friends, colleagues, and followers. Are you speaking unclearly in your streams? Are you regularly sniffing, clearing your throat, or displaying other distracting habits? Personal grooming is also critical. Even if your clothes are casual, they should still appear clean and neat, and you should look combed and washed. Raw numbers aren’t the only measure of success in streaming. If you’re in a relatively small niche, for instance, huge numbers for follower count and average concurrent viewership are unlikely. However, your reputation and authority may still command the attention of paid subscribers and brand sponsors. Streamers with a large following may repel potential sponsors through unreliable, dishonest, or offensive behavior. Before working with you, sponsors will also want to check that your followers are authentic and engaged. Do your followers regularly interact with you? Does your content steadily receive comments, likes, and shares? Are people talking about you favorably on social media, online forums, blog posts, or articles? 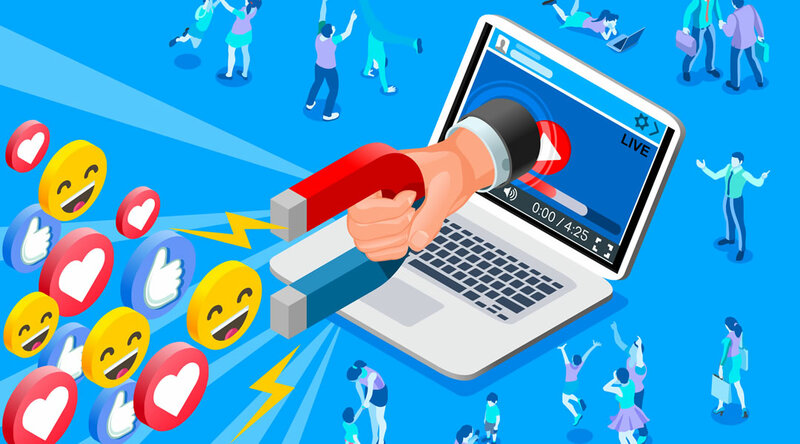 The following are some of the ways you can promote engagement, strengthen loyalty, and build meaningful online connections. During your streams, you can answer thoughtful questions you’ve received, address interesting comments, and act on requests for certain content, including a new topic to cover or a graphic to display. On Twitch, for example, panels are an excellent way to display your streaming schedule and support, share entertaining facts about yourself, link to social media accounts, and pose interesting thoughts or questions to get a conversation started. The right overlays can also capture people’s attention and make you more memorable. If you’re concerned that the graphics you create on your own won’t look professional, turn to resources like Player.me, Nerd or Die, and Visuals by Impulse. Unlike video recorded in advance, live streams gives you the advantage of interaction and immediate presence. You can chat with viewers, take questions, and allow yourself to pursue new trains of thought and discussions. You can also take viewers more deeply into your life. For example, if you’re a professional artist, you can give them a live tour of your studio and spontaneously work on an unfinished piece. Using sites like Rafflecopter and Gleam, offer contests and giveaways. Collect donations for a charity or a cause you believe in. Provide special content to paid subscribers and sponsors, including samples of your work, exclusive tutorials, and personalized streaming experiences. Express genuine admiration for individuals in your online community. Become a fan of other streamers, and connect with your regular followers on their online accounts. Building these connections increases loyalty and boosts the chances that you’ll form advantageous partnerships with other committed and talented people. For example, if you make a video with another respected streamer, you’ll expand your reach and strengthen your reputation. Whether you’re on Twitch, YouTube, or Mixer, don’t limit your presence to your streaming channel. Share clips and highlights on Twitter, Facebook, and Instagram. Export your videos to YouTube. You may also want to answer questions on Quora and other public forums or write in-depth articles for LinkedIn. Across different platforms, keep your contact information and personal branding consistent. Once you’ve developed an influential presence and following, you’ll naturally attract the attention of sponsors. You can also reach out to them. Consider if you’re a good fit for a brand and if you can honestly support the products without sacrificing authenticity. Try what they’re offering by buying a product or using a free sample. Do you think it’s useful and valuable? Does the quality meet your standards? Conduct research using LinkedIn, the Better Business Bureau, and other sites to develop a clear idea of what they do and if they’re reputable. How would you be able to help a brand? The possibilities include a panel on your stream, favorable tweets or Facebook posts, product reviews and demonstrations, or the more low-key use of a product during a live stream. Contact their marketing department on LinkedIn or through their website. Interact with them on Facebook, Twitter, and other social media platforms. Use their hashtags, tag them, share their content, and chat with them to demonstrate that you’re a genuine fan of their products. Offer to help them promote a campaign they’re launching on Kickstarter or other crowdfunding sites. Turn to PowerSpike, Cloutboost, and similar sites to connect with brands. Don’t approach businesses in a pushy way or with an attitude of entitlement. Introduce yourself in a conversational tone, and demonstrate a knowledge of the business. Explain who you are, what you do, and what you can potentially offer. Link to your streaming channel, sample clips, and social media accounts. You can also mention previous successful sponsorships. An increased awareness of their brand or a specific product or service. A greater amount of website traffic and a boost in conversion rates. A greater number of sales. Increased loyalty and engagement. For example, they may want more email subscribers or followers on Instagram. A broadening of their reach to a new demographic. Ask them how they intend to measure success and how you can help them as a streamer. Offer your own ideas, and consider their suggestions. If you ask intelligent questions and behave thoughtfully, companies will be more likely to see you as a reliable partner. This way, you’ll cultivate lasting relationships and strengthen your reputation with sponsors. Can you give your viewers a consistently unforgettable experience? Are you able to meet the expectations of the brands you work with? Becoming an influencer demands commitment, vision, hard work, and passion. Only then can you enjoy the respect and the rewards that come from being an influential streamer. Great article! It’s not easy becoming an influencer, but with great content like this, streamers can have much better insight into what it takes.